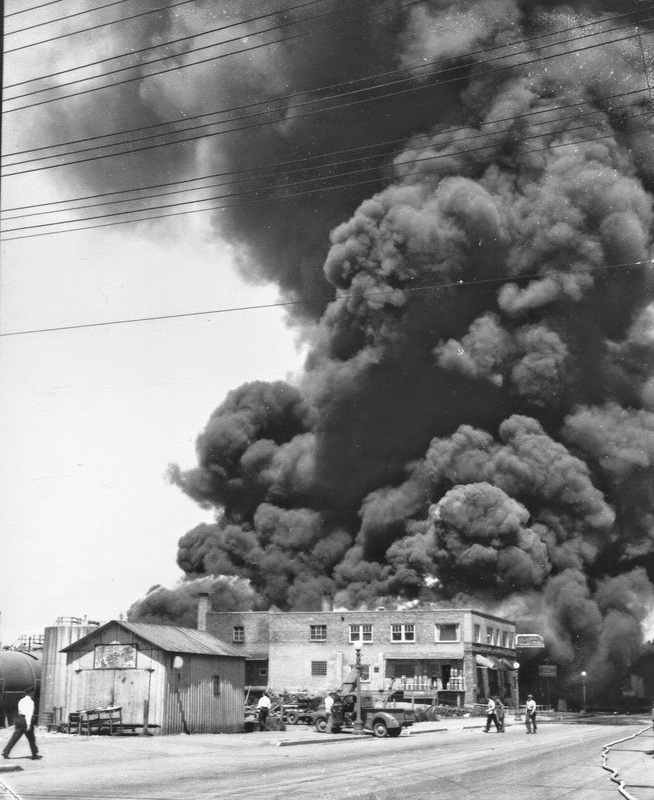 This major fire occurred in July, 1947. Reports from one eye witness who worked at the nearby Mandan Creamery claimed that “pink gas” was flowing from one tank like a waterfall. As soon as she saw that she got in her car and drove away as quickly as possible. She had gone about a block or two when the explosion occurred throwing her car to the side of the road but she kept on driving. Four men were killed in the explosion. Two were in the Mandan Creamery which was completely destroyed in the blast. 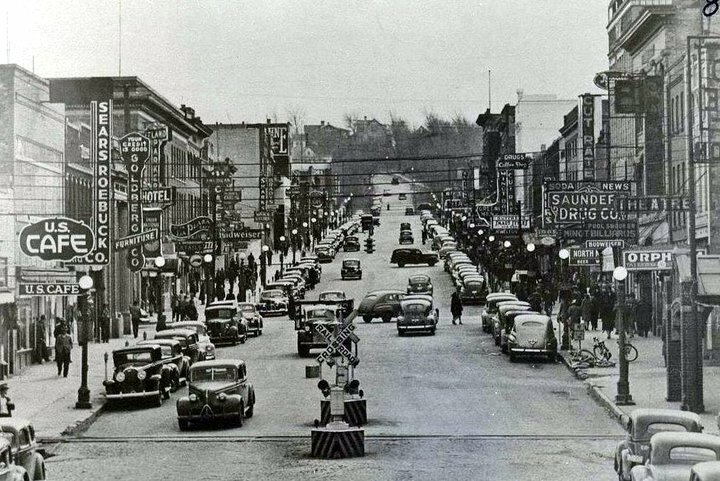 One was a Minot fireman and the other an employee of Charlebois Blacksmith Shop.